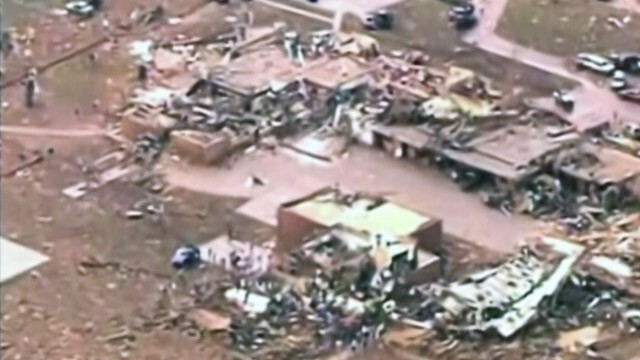 Oklahoma Chief Medical Examiner’s Office tells ABC News at least 10 dead. Sixty patients admitted to area hospitals – 10 in a critical condition at Ingris Health Southwest. Two schools badly hit – Briarwood Elementary School and Plaza Towers Elementary School. Preliminary assessment by National Weather Service puts tornado at EF-4 with winds of up to 200 mph. Emergency Management Office says tornado cut a 12 mile swath through an area from Newcastle to Moore, Okla.